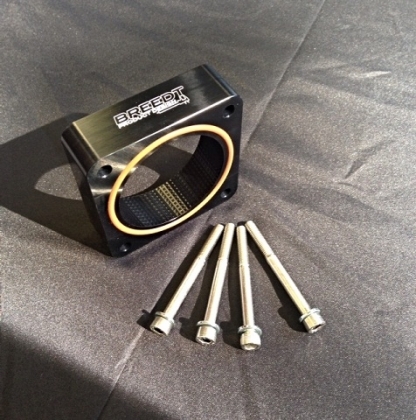 The throttle body spacer for the Focus ST250 was designed to smooth airflow into the manifold, give you a better throttle response and it's a convenient place to add Meth or boost taps. A fitting kit is also included. The Pumaspeed Workshop team are ready to fit the Breedt CNC Machined Throttle Body Spacer in our Head Office located here. Therefore making parts and labour a total cost £118.99 (inc. VAT). Pumaspeed have a specialist distribution team that can dispatch the Breedt CNC Machined Throttle Body Spacer to any destination worldwide.